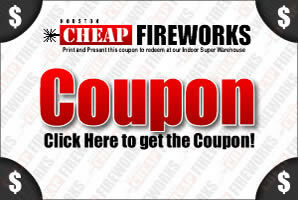 We have 10 fireworks locations in the Houston metro area selling a wide variety of Fireworks products. Check out our online catolog for pricing and availability. Products are only availble at our stores.